Goldfish crackers seem to be present wherever toddlers are found. 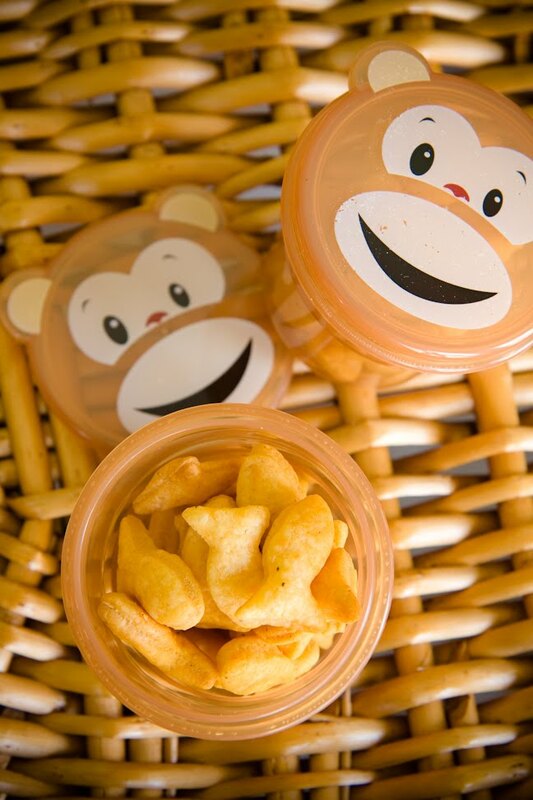 The little goldfish crackers seem to be the perfect mate for little fingers. Myles is not quite toddling yet, but just as I’ve done advance reading to know what to expect, I also thought some advanced baking might be in order to learn the secret behind the goldfish goldmine. 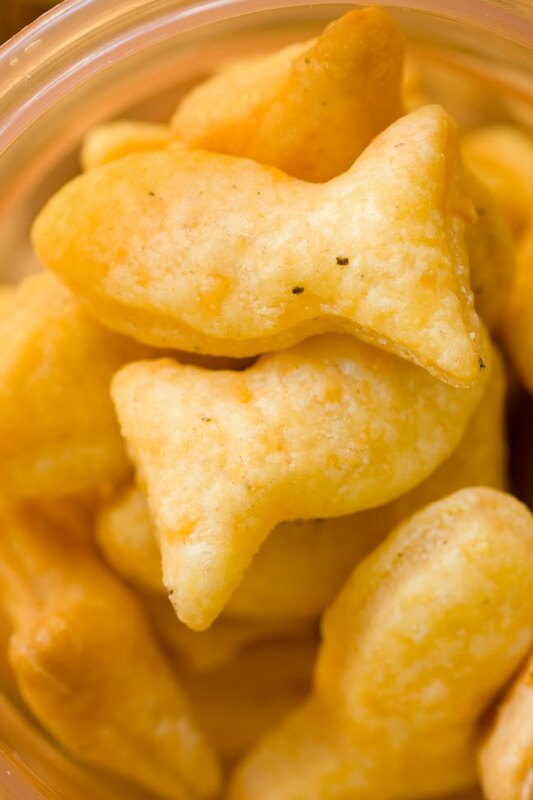 Are goldfish crackers something that I could easily make myself using a cheddar of my choosing? YES! The hardest part of making goldfish crackers, as it turns out, is the time it takes to cut them out. Because the goldfish crackers are so tiny, a little dough goes a long way and you’ll feel like the cookie cutter stage is never-ending. That being said, nothing is stopping you from making giant goldfish crackers if you so choose! 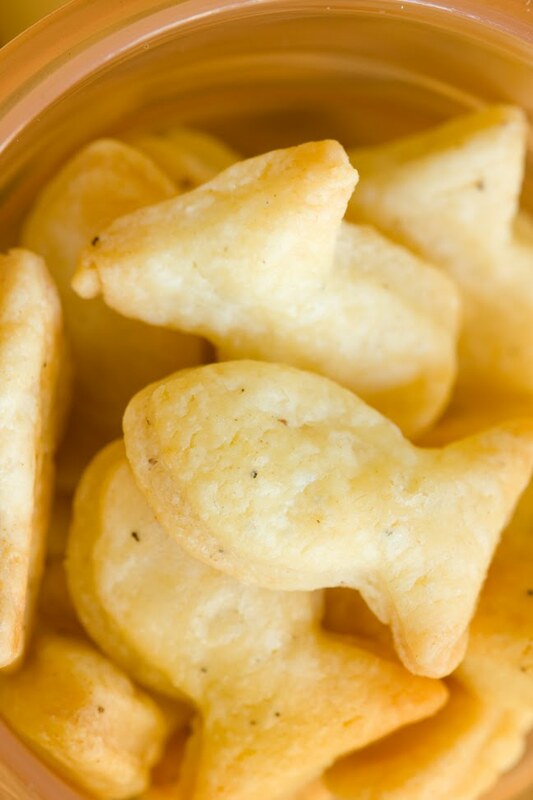 I found the goldfish cracker recipe on YumSugar and they got the recipe from Country Living. Are goldfish crackers something that I could easily make myself using a cheddar of my choosing? YES! 8 oz cheddar cheese This is the fun part! Pick out whatever type of cheddar that you like! I used orange cheddar for half of the fish, as shown above, and white cheddar for the other half, as shown below. Both cheddars that I used were extra sharp because that's how I like it! A fish cookie cutter. I got mine from CopperGifts. Pulse the flour, butter, cheese, salt, and pepper together using a food processor until the mixture resembles coarse meal. Pulse in 3 to 4 tablespoons of water, one tablespoon at a time, and only enough so that the dough forms a ball and rides the blade. Remove, wrap in plastic, and chill for 20 minutes or up to 24 hours. Line 2 baking pans with parchment paper and set aside. Cut out as many crackers as possible. Place them 1 inch apart on the prepared baking pans. Bake at 350 F until golden and crisp - 15 to 20 minutes. And, yes, these fishies are going to go in a cupcake!